The Italian government recently announced a significant expansion of the use of immigration detention, with plans to establish Identification and Expulsion Centres (CIE) in every region within Italy. 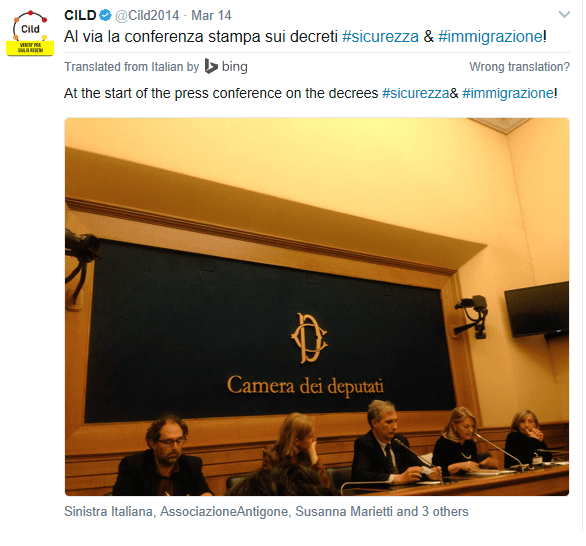 Our new Italian Members, the Italian Coalition for Civil Liberties and Rights (CILD) have provided a brief analysis and history on the failure of immigration detention and how disappointing and surprising that in 2017 discussions are still being held regarding the Identification and Expulsion Centres (CIE – Centri di identificazione e espulsione). CILD highlighted the high costs, the criminalisation of migration and the inefficiency of immigration detention. For more information on the history of administrative detention and Identification and Expulsion Centres (CIE) and CILD’s arguments against CIE’s can be seen here. For more information on the shared document ‘Constitutional, legal, social and cultural issues against the two decrees of the Government concerning immigration and security’ click here. 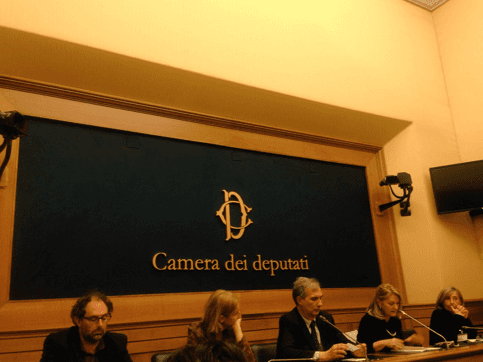 The Italian Coalition for Civil Liberties and Rights has also provided a statement to the Human Rights Committee on Italy detailing four priorities identified after their observations on Italy. The International Detention Coalition (IDC) has expressed concerns over the Italian Government’s plans to expand the use of immigration detention, urging the use of alternatives to immigration detention to be utilised instead which have been shown to be more affordable effective and humane.